Marcus Tullius Cicero, 3 January 106 BC – 7 December 43 BC) was a Roman politician and lawyer, who served as consul in the year 63 BC. He came from a wealthy municipal family of the Roman equestrian order, and is considered one of Rome's greatest orators and prose stylists. 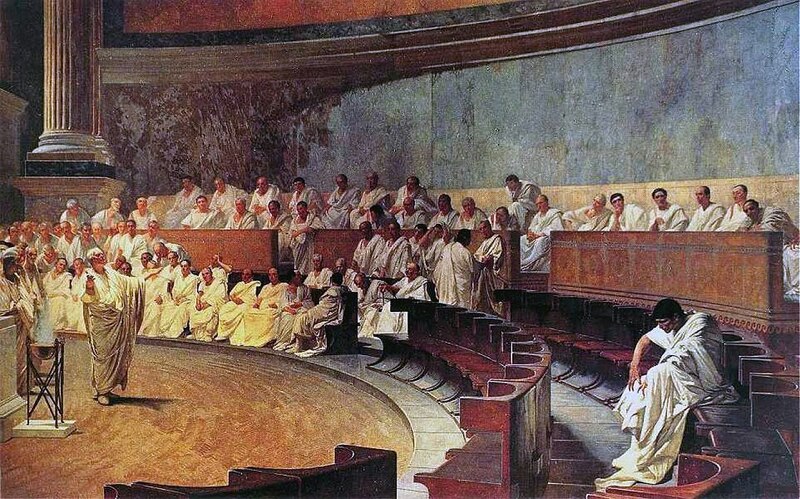 Though he was an accomplished orator and successful lawyer, Cicero believed his political career was his most important achievement. It was during his consulship that the second Catilinarian conspiracy attempted to overthrow the government through an attack on the city by outside forces, and Cicero suppressed the revolt by executing five conspirators without due process. 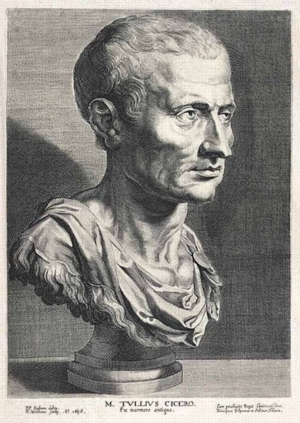 During the chaotic latter half of the 1st century befor C. marked by civil wars and the dictatorship of Gaius Julius Caesar, Cicero championed a return to the traditional republican government. Following Julius Caesar's death, Cicero became an enemy of Mark Antony in the ensuing power struggle, attacking him in a series of speeches. He was proscripted as an enemy of the state by the Second Triumvirate and consequently executed by soldiers operating on their behalf in 43 BC after having been intercepted during attempted flight from the Italian peninsula. His severed hands and head were then, as a final revenge of Mark Antony, displayed in the Roman Forum. 1. The Poor work & work. 2. 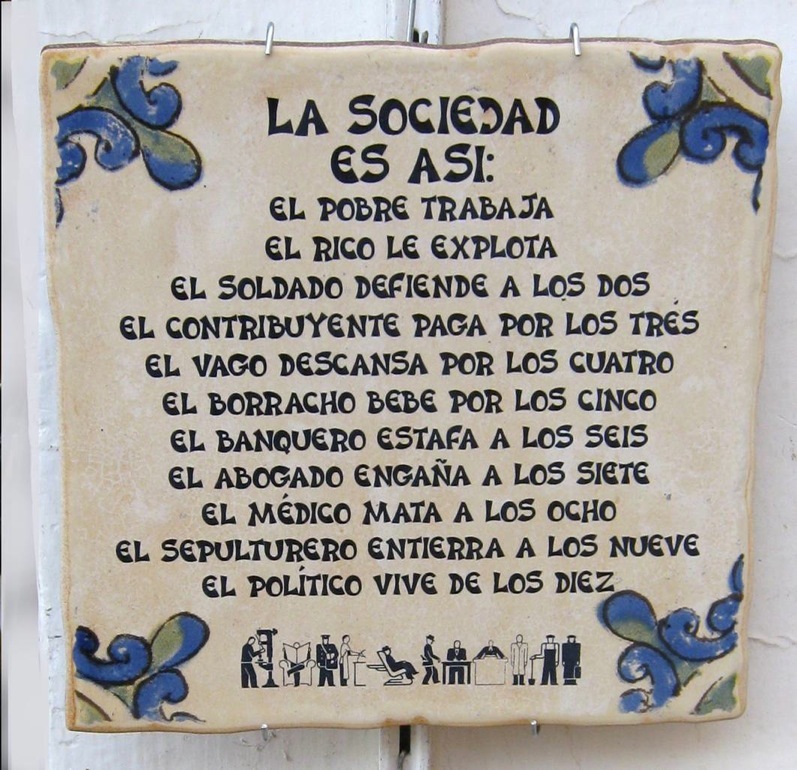 The Rich exploit the poor. 3. The Soldier protects both. 4. The Tax Payer pays for all the three. 5. The Wanderer rests for all the four. 6. The Drunk drinks for all the five. 7. The Banker robs all the six. 8. The Lawyer misleads all the seven. 9. The Doctor kills all the eight. 10. The Undertaker buries all the nine. 11. The Politician lives happily on account of all the ten.